This the second post in my series about our interactions with our local building inspector and the steps we took to get a Certificate of Occupancy thereby making our tiny house a legal single-family dwelling. This post is a compilation of excerpts from my weekly letters on December 23, 2012 and December 30, 2012. When the certified letter arrived from the Building Department, I knew what it would say. My heart started pounding so hard that I was sure the mail woman could hear it. She was kind and charming and talked about how special Christmas was with her children. She wished me a happy Christmas; I smiled and wished her the same, but I’m sure I had an absent stare. Once she drove down the hill, I tore open the letter and all I could see was “violation”. I don’t violate things.–That’s my story. If I hadn’t devoured Daring Greatly by Brene Brown today, I’d be feeling a major shame storm right now. But instead, I’m being kind to myself. I’m breathing deep and practicing gratitude. I’m feeling scared and sad, but I’m not trying to numb the feelings. I’m “leaning into the discomfort,” as Brene says the Wholehearted do. Dammit, I’m a Wholehearted person! I fill with joy even as tears well up in my eyes. I don’t know what will happen, but I know that we have acted in the best way we could through this whole process. Karl will talk with the inspector on Monday. I’m incredibly lucky to have Karl—his courage and confidence hold me up when I’m crippled with fear. I pray that we can work around this challenge with grace and connection. If nothing else, we can buy an old travel trailer and live in that until the “big” house gets built. How’s that for irony? Of course, we’ll be working some magic. Ah, life. Try it. Next time you are faced with fear and vulnerability, take five minutes to write out a gratitude list. I’ve been hammering together the big house with Karl. When I’m out there pounding nails, I feel good since we’re moving toward what we want. But then I come back into the tiny house and worry that someone is going to take it away from me. The thought of losing this sweet little life is heart-wrenching. Yuck. At Christmastime, no less. Many are struggling with a very dark time, and I feel the pain of the world. This makes me feel totally interconnected and humbled. There is unexpected joy in being present for life’s difficulties. I confess, I am in tears right now. Because I don’t know if we can keep living here. Maybe we can. I am hopeful, but maybe we can’t. Karl spoke with the building inspector who says we need a structural engineer licensed in the State of Virginia (a third party) to certify that our home is structurally sound. It is. We followed the International Building Code. Karl is the most fastidious guy I know. We lived through the sustained winds of hurricane Sandy’s outer bands, a derecho, and several ice/snow storms. The house is solid, but our inspector doesn’t know that. I appreciate him, as he is being quite reasonable to work with us on this. He could have said a flat-out “No.” But he didn’t; he gave us an option. Our search is on for our engineer. Read the final post in this series. Thanks for the encouragement and inspiration you all give us. We are so grateful for this community. 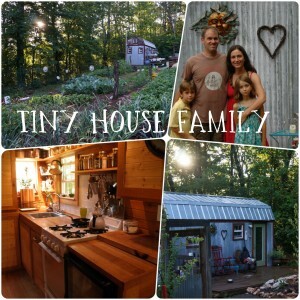 Another tiny house family starts the legal process.–Check out Drew’s bravery here. I feel your pain, It seems like all construction departments have some number in their heads as to how much money you need to spend on professionals to certify meaningless paperwork. For people to show up, take a half hour look at best and leave their bill for hundreds if not thousands of dollars for their expertise. 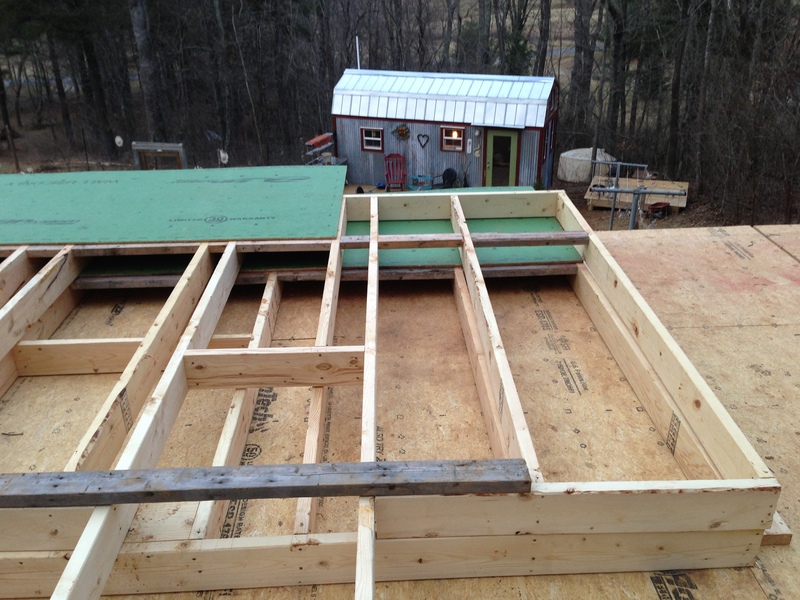 I built a timberframe house and they treated me like I was building a lunar module. The inspectors didnt know anything about timberframes and what they didnt know, they just guessed at and made ridiculous statements to cover up their own ignorance. One suggested that he should have been called earlier for a particular framing inspection as their was no way he could verify that the timbers were solid all the way through. That they might be structurally unsound since he hadnt actually seen the materials prior to them being erected. Even though I had plenty of timbers left over that he could compare and see the obvious that they were solid 8″ southern yellow pine with certifications from the building and the timber supply company that he could verify. And was included in the paperwork I might add. I could go on and on. I had to spend 3 thousand on amendments to my drawings that were completely unnecessary and previously covered on prior drawings just because they didnt know what they were looking at. Stick with it and keep at them, and always feign at complying. Chances are the next time the same issue is looked at that they will forget their own issue with it and know that it is a silly process to make them feel their own self worth. But thats just my opinion! My stomach sunk when I read the word “violation” in this piece. I can only imagine how you felt. Good on you for having a constructive way to cope. Whenever I hear stories like this it has me lose faith in government. But the other part of me understands where they are coming from. People wax rhetorically about the “nanny state”. The nanny state is a big, bad things that’s out to restrict everybody’s freedom and pleasure. However, it’s usually rhetoric employed by people that live in countries that are sue-happy. Something goes wrong: they ditch responsibility and go into litigation mode. 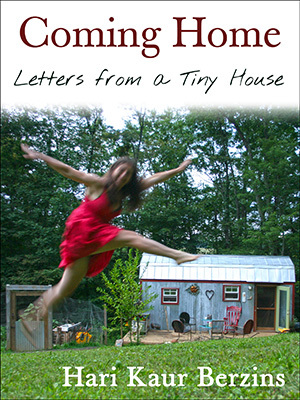 I’m feeling very frustrated by all the complications surrounding the legality of tiny homes. I’ve been pondering recently the steps I need to take in order to build mine legally. In so many places, tiny houses are that sneaky little grey area, which people can put in your favor if they like you, but move away from your favor if they don’t. Since there aren’t laws in most places that specify what a tiny house can be, it is so tricky to find that place where you can be secure in your knowledge that your tiny house is 100% legal. I can imagine how scary it would be to fall into a situation where someone could potentially take my home away from me. I’m so glad you were able to make it work! Thankfully, because of people like you, people in the zoning department are starting to realize that tiny houses can be real, safe homes, despite their tininess. The best thing we can do is raise that awareness and work toward planting the seed that huge houses aren’t the only way to go. There are laws that make sense and that are there to help protect people and the land, but alot of the time I feel like the unnecessary rules are there mostly to make more money. It just breaks my heart! It shouldn’t be illegal, or cost thousands of dollars in permits, for someone to build a small, sustainable, safe home for themselves. It just doesn’t make sense, especially in a world with so many people and limited resources. Governments are going to have to change their mentalities. There’s not enough for things to go on like this forever. I can’t wait until we can turn away from the “big house” fad and go back to normal for goodness sake! Why be legal? The hell with the government. If they ask, it is your barn. It is a weakness to ask for permission to do something on your own. My wife and I sailed around the world on a 24′ engineless sailboat, had our son along the way and home schooled him. I was easy. We were always leaving one country and going to another. No one bugged us. Don’t let them know where your are. That is why God invented PO Boxes. Anyway, best of luck with your dreams, not that you need luck!